Production on Marvel Studios The Eternals is set to begin later on this year. 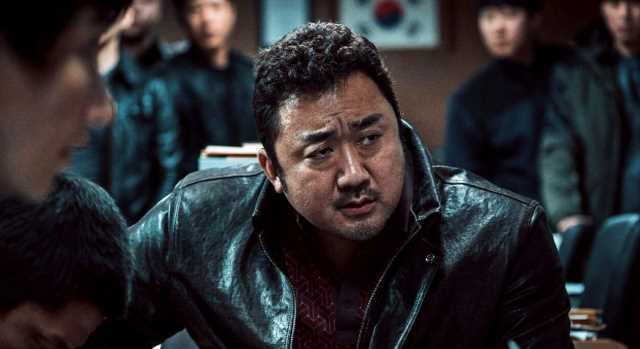 First there was news that Angelina Jolie and Kumail Nanjiani have signed on for key roles, and now it is being reported by The Wrap that Korean actor Ma Dong-seok (Train To Busan, The Outlaws) will make his American film debut in the cosmic superhero flick. Now of Course Marvel Studios has not revealed any information as whom exactly Dong-Seok would be portraying but it is believed that Jolie may be portraying Sersi. Since we are talking about The Eternals, That Hashtag Show has heard that Marvel and director Chloe Zhao are specifically looking for an openly gay/bisexual Asian actor in his twenties to play “James.”More than likely that’s not the character’s real name but he’s described as “intellectual, emotional, and has a strong sense of family.” Apparently, How To Get Away With Murder actor Conrad Ricamora is being eyed for the part. I guess we can see him because we might see the former 16-time wrestling champion join the worst heroes ever. It is being reported by Variety that John Cena (Bumblebee, Trainwreck) is currently in talks with Warner Bros to The Suicide Squad written and direcred by James Gunn. If the deal goes through, Cena will be joining Margot Robbie who will be reprising her role as Harley Quinn, Jai Courtney as Captain Boomerang, Joel Kinneman as Rick Flagg and Idris Elba in a yet undisclosed role. The Suicide Squad is slated to hit theaters August 6,2021. It seemed as if the DC Universe streaming platform was picking up steam and headed in the right direction. Well according to a new report that train has come to a full halt. Apparently, cast and crew were informed that Swamp Thing would wrap production on episode 10 and then halt to allow writers and producers to rewrite an ending. The show was originally scheduled to film 13 episodes through May. With word of this stoppage it comes as quite a shock as Titans Season 2 is heading into production and Doom Patrol is receiving great reviews and praise. Should this unfortunately spell the end to the DC Universe hopefully the fans and many others are treated to the 10 episodes of Swamp Thing that have already been filmed. Birds of Prey (and the Fantabulous Emanicipation of One Harley Quinn) has officially wrapped up its principal photography. The film from what we have been told is shaping up to be a very different movie to what most of us expected. First of which as via the title the film will primarily focus on Harley Quinn which is unlike the books and will not at all feature Barbara Gordon. We now have just gotten a new logo for the film and this is showing part of how Warner Bros. is for sure hoping that this will be a big hit and Harley Quinn’s involvement is bound to generate a great deal of interest. Check out the new logo and let us know what you think. Marvel Studios solo Black Widow is set to begin production this summer in London. With a cast that includes Scarlett Johannson reprising her role as the spy turned Avenger, Natasha Romanoff aka Black Widow, Florence Pugh, Rachel Weisz and David Harbour it now seems as if we may who have found whom her villain will be. 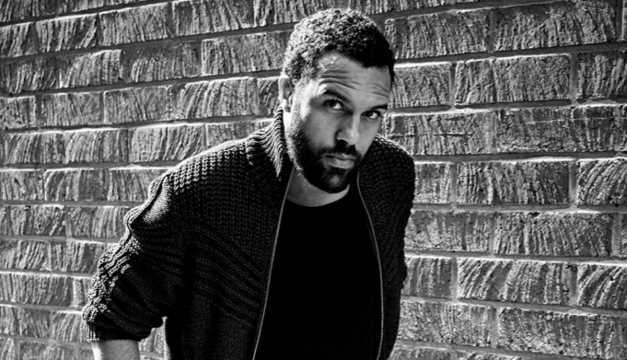 This according to Deadline is O-T Fagbenle (The Handmaid’s Tale, Breaking and Entering) . Now the report does not mention anything about whom he will be portraying but thanks to a recent report from That Hashtag Show suggested that Marvel and director Cate Shortland were searching for a “black British actor” to play the main bad guy, so there’s a pretty good chance Fagbenle is their guy. There have been so many rumors circulating about but at three hours and two minutes Avengers: Endgame will NOT have an intermission. During a recent interview, Marvel Studios President Kevin Feige confirms that while the Infinity War sequel clocks in at over 180 minutes, there’s a good reason for that and fans should be aware that there may not be a good moment to miss even a few seconds! So now that means you either need to do the aformentioned and get a catheter put in or have a bottle on standby or even invest in an adult diaper. Either way this is not the first major blockbuster to clock in over the three hours and people have stayed throughout the films then, so why should it be different now. Now you can add the master archer to the list of Avengers who will be getting their own series on the upcoming Disney+ streaming platform. A Hawkeye series starring Jeremy Renner is now in the works. The series is described as an adventure series in which archery master Clint Barton, a.k.a. Hawkeye, will pass the torch to Kate Bishop, a member of the group known as the Young Avengers, and first female to take the Hawkeye name after Clint Barton. Kate is also Barton’s daughter and many believe her to be the young girl we see in the Avengers Endgame trailer practicing with Clint. Other series that have been announced so far are Loki (Tom Hiddleston) and Scarlet Witch (Elizabeth Olson) as well as Falcon (Anthony Mackie) and Winter Soldier (Sebastian Stan).